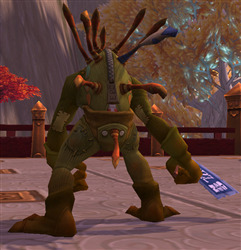 Use: It's a murloc costume. This item was a reward for attending Blizzcon in 2007. That year's convention did not offer an online streaming service, so owners of this item either physically attended Blizzcon or purchased the code from someone who did. The suit was a single non-consumable item but was BoA, so you just needed to mail it around to whatever character you wanted to use it on. 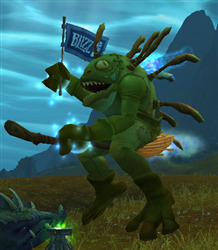 As of patch 6.0.2, "using" this item will learn the spell and add it to your Toy Box, making the suit battle.net accountwide and useable by all your characters, no mailing involved. Putting on the suit grants a transformation buff ( Murloc Costume) that alters your appearance similar to how the Hallow's End wands function. It is not an actual costume that you "wear" like armor. It has no cooldown to reapply, but there is a cast time to use. Using it for the first time grants the Feat of Strength Murloc Costume. 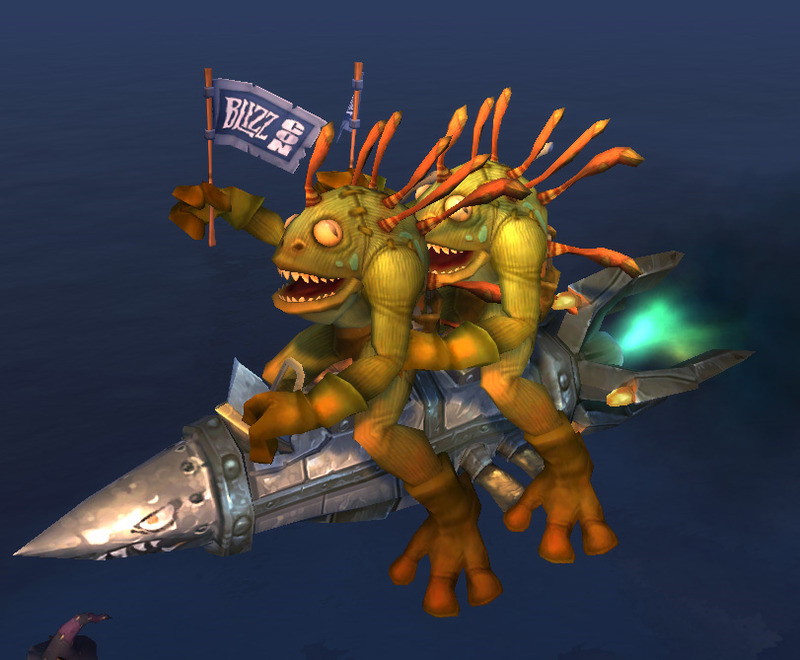 Murloc suit has a unique dance animation. You can fish, mount, loot and perform most activities in the suit. It does not break on entering combat, but will break on dealing or receiving damage. I like to wear it on my healer during raids since heals don't break it, only when I take damage. If it is not broken, it will last for an hour on its own.